I wish you all have a loving valentine day :). I'll make an entry about my valentine day but in my other blog. So if you want to read it just check out my other blog okies ^^. Anyway, Today I'm going to reviewing a very famous lipbalm from Maybelline. I know it's kinda late to reviewing this product, but still better late than nothing right? First of all I want to be honest that I dont like this lipbalm packaging. Usually I never be fussy about my make up or skin care packaging. But this lipbalm packaging is kinda annoying for me. As you all know if we can't twist this lipbalm fully inside the tube and it make me need to close the tube very carefully or end up hitting the tube cover into its product. 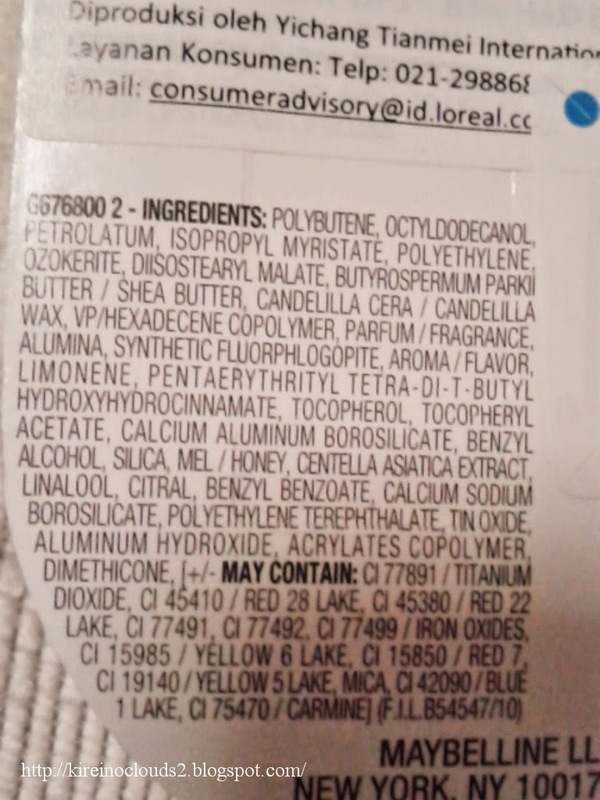 About the product it's self, in my lips it's come less waxy then my usual lipbalm. 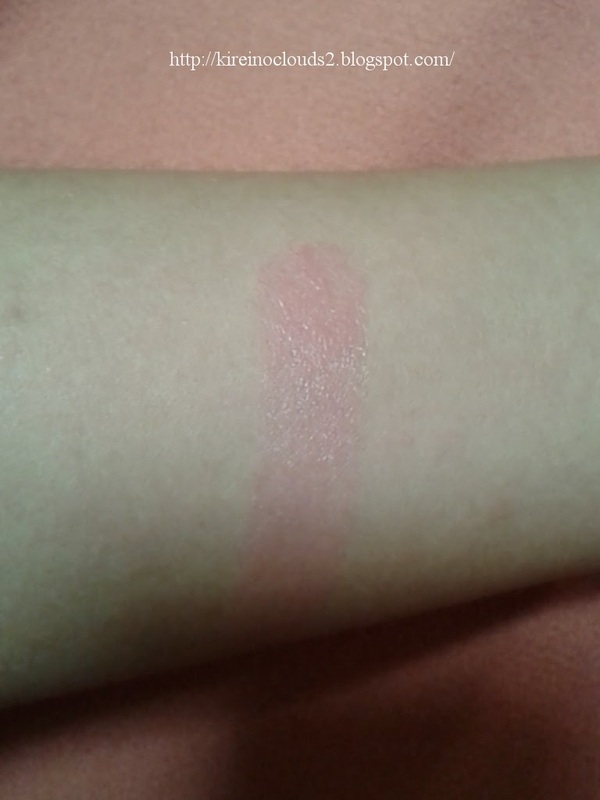 Also it has a pretty good moisturizing effect and colour. This product consistency remind me into my teenage day lipbalm Belia, they have a very similar consistency with old belia lipbam (never bought their new formulated lipbalm). 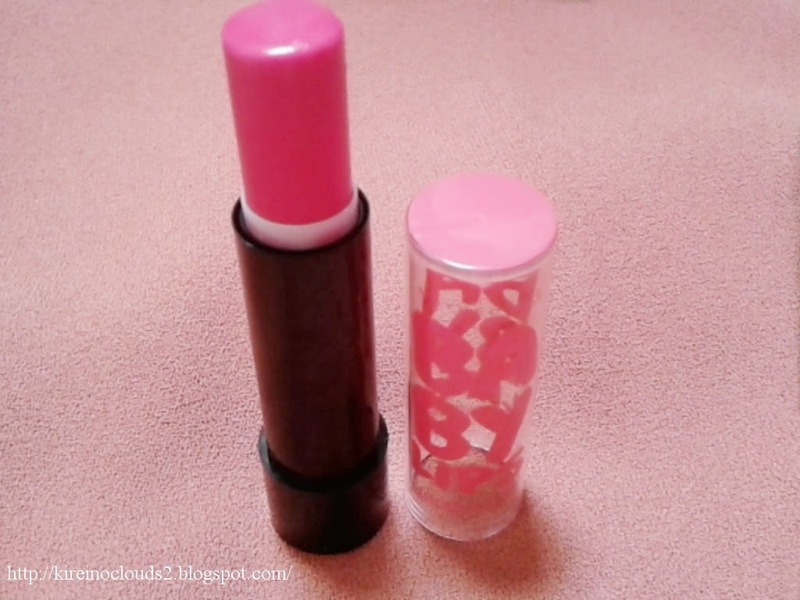 I love this lipbalm smell and colour, it give me a pretty sheer and glossy lips look. I use it as my daily lipbalm now :). 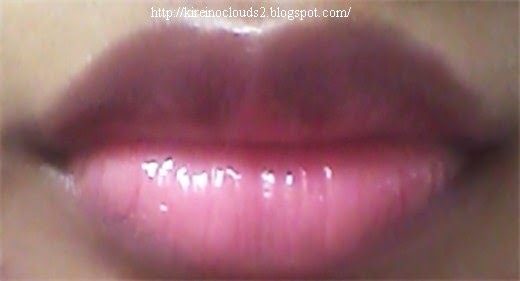 But my lips condition now is pretty good, not dry or chapped. I'm pretty much wont recommend this lipbalm if you have dry and chapped lips. Eventhough it's have good moisturizing effect in normal lips but I dont think it will help to smooth a dry lips. The moisturizing effect only last for 2-3 hours in my lips. I really like how this lipbalm give me sheer but noticeable pink colour in my lips. It give me a colour in my face even when I use no make up, so I wont end up look pale and sick (>.<). - Cheap (I bought it IDR 28k, but I'm sure you can get lower price if you bought it in supermarket). But I may bought another lipbalm from baby lips range too. Well, I have to say that I'm not really impressed with this lipbalm. Out of the hype and good review from this product, I have to say that this is not as good as what I expected. But I won't say that this is a bad product also. For me this one is kinda average product :). How about you all, have you tried this one before? And what your favorite lipbalm brand? Busy like a bee, dont really have time to write (T_T). 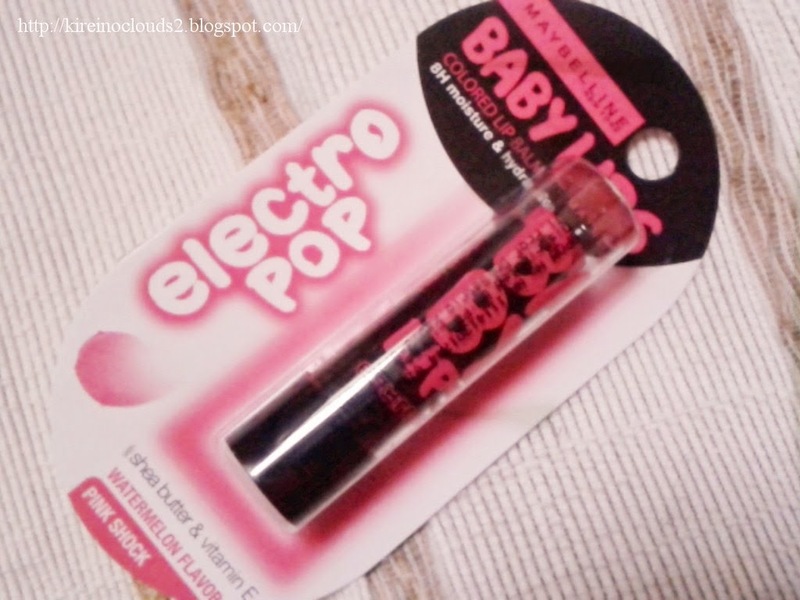 Actually, this is my most favourite baby lips balm from Maybelline! :D I thought Dr Rescue is a bit waxy, and their regular lines are lacking hints of colours. Hehe. I got mine in Berry Bomb, and I'm almost out of it, yay! This line have good colour :). I have tried Baby Lips before, just not this shade. My favourite brand of lip balms changes almost every month, it would have to be between eos, softlips or baby lips. I heard that EOS is good, and it's very famous. Never tried it yet but I'll try it when I had opportunity for it :). I haven't tried using the Electro Pop before. For my dry lips I suggest the regular Baby Lips or the Dr. Rescue. I use them for myself and they work like a charm so far. I've been using it for 3 years now. Regular baby lips is good too. I was using regular baby lips before this. Happy Valentines Day also dearest!!!! haven't tried it yet but I heard good reviews about it. Your review is awesome btw!!! <3 thanks a lot! You should try this one :). wow, what a nice color, looks beautiful on you! this lipbalm would be perfect in a normal lips but wont help much for dry lips. Your posts and reviews are really helpful! Keep doing good! Followed you via GFC. Please follow me too! they have beautiful colour :). Thank you for the liebster awards :). too bad I cant take it for now. Still a bit busy :(. Too bad the colour did nothing in your lips. I find this one have quite bold colour as a lipbalm in my lips :). pas jaman kuliah dulu ga pernah ketinggalan si nivea di tas. kalo sama nivea, mirip sama yang nivea cherry. kurang lebih effectnya kayak gitu. I'm sure a lot of girls have same opinion with you :). Hello, thanks for sharing your skincare routine. And I don't think you need to use that wrinkle cream. Your skin is really nice! Ini favourite lipbalm dari maybelline..